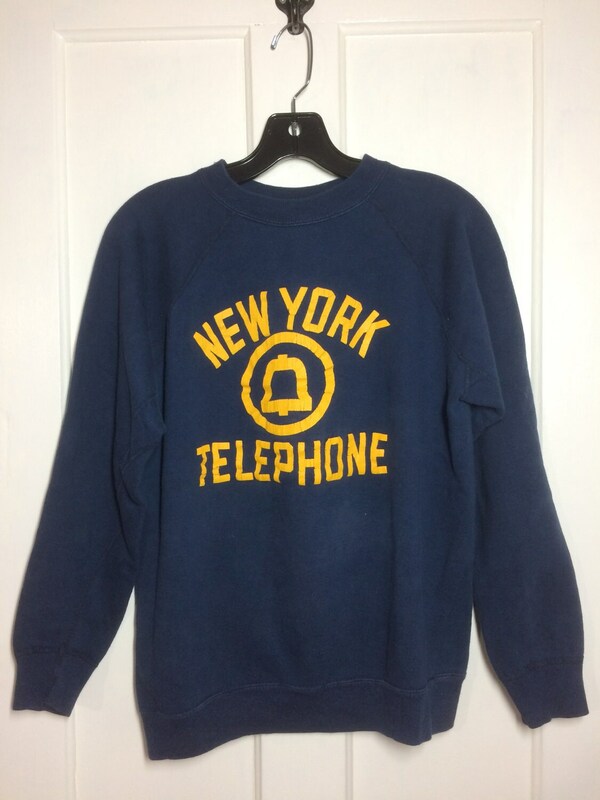 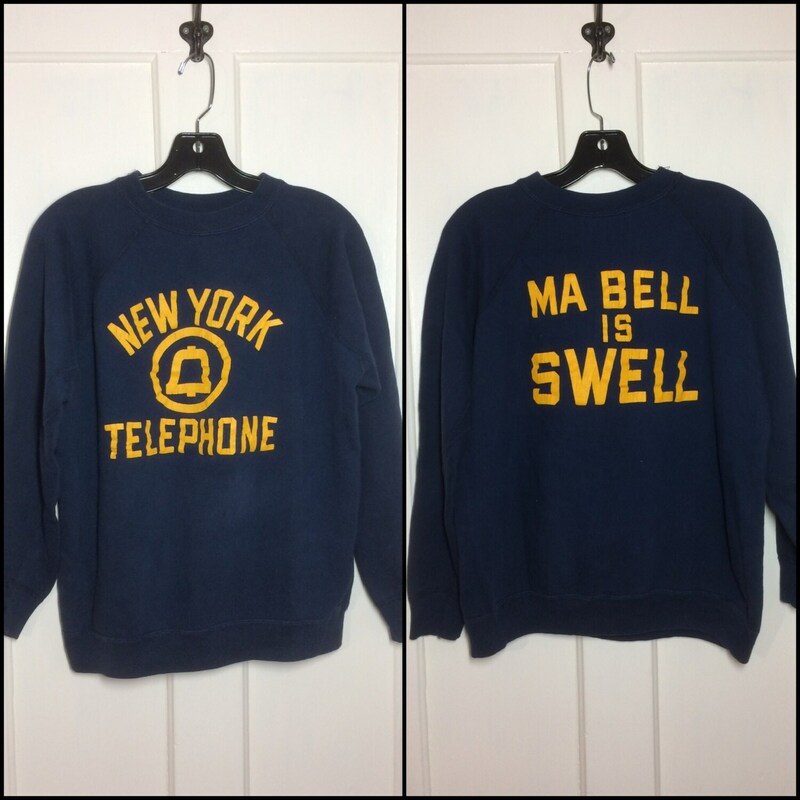 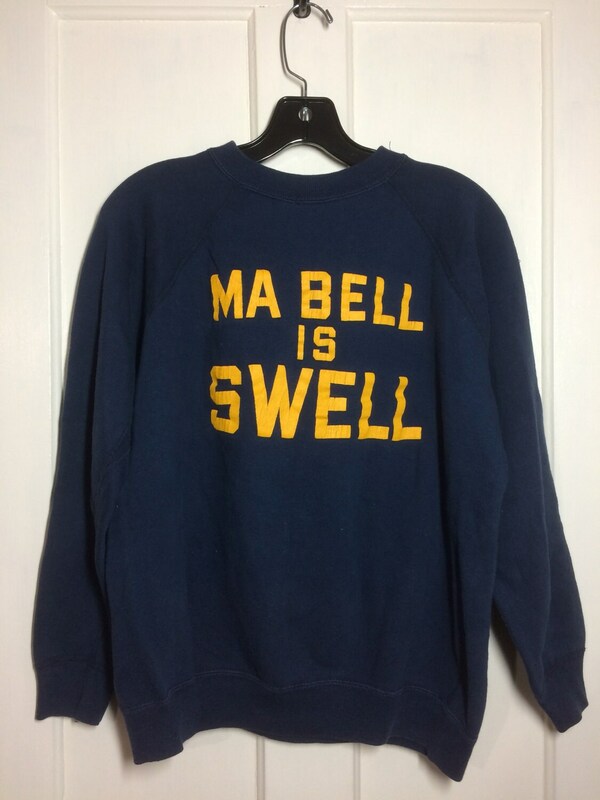 Here's an all cotton Ma Bell sweatshirt from the 1960's. 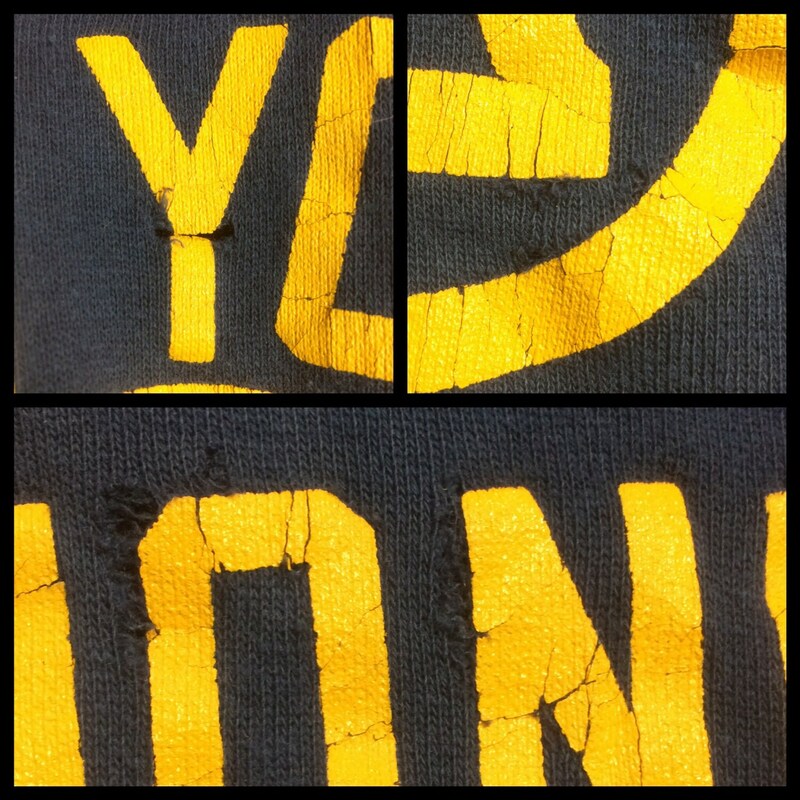 The print is brittle and there's cracking. 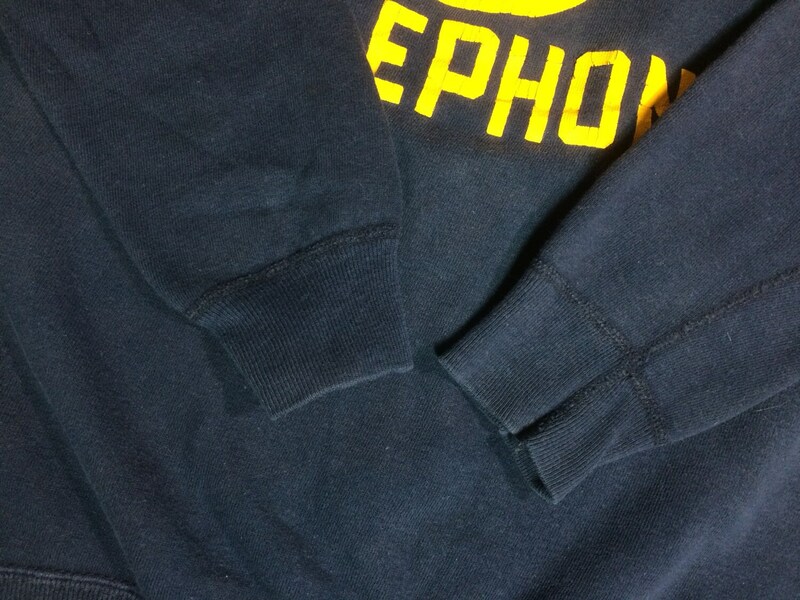 There's holes by the 'O', 'N' and 'Y' and some weak spots where holes are forming, see photos.